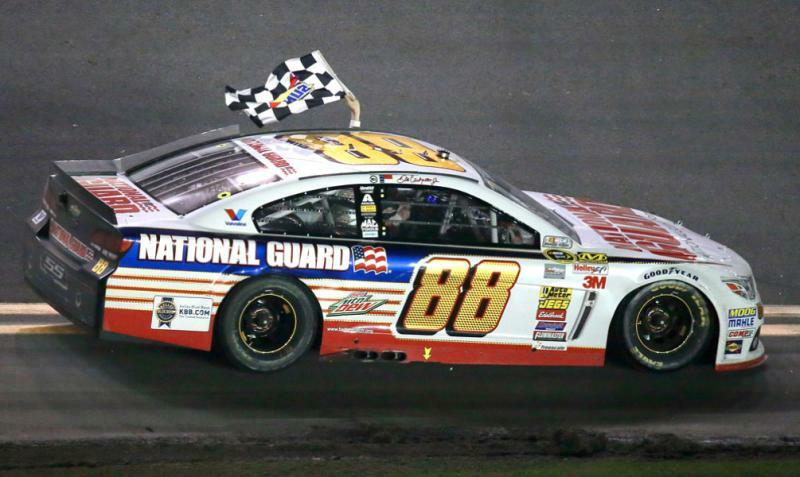 With Steve Letarte moving on from racing in 2015, Dale Earnhardt, Jr. and the No. 88 Sprint Cup Series team were looking for a crew chief. On Monday afternoon, they found one and they didn’t even have to look very far. Crew Chief Greg Ives will stand in the pit box next year and direct Dale Jr to victory. Per the announcement made on Hendrick Motorsports website, Ives, was a race engineer for Jimmie Johnson during his historic run of five consecutive Sprint CUp championships. Ives will work alongside Chad Knaus next seaosn, as the two teams share a shop. In November 2012, Ives transitioned to JR Motorsports as crew chief for driver Regan Smith. The duo won two races and finished third in points in 2013 before Ives was named Elliott’s crew chief prior to this season. JR Motorsports works closely with Hendrick Motorsports and is owned by Earnhardt in partnership with Rick Hendrick. “I know what Greg is all about and really respect him,” Earnhardt said. “He’s a strong leader with a cool personality, and we’re both competitors who want to win. It was important to find someone who would fit at Hendrick Motorsports and inside our shop, and he will for sure do that. We got the best guy for the job, and I look forward to working with him next year.